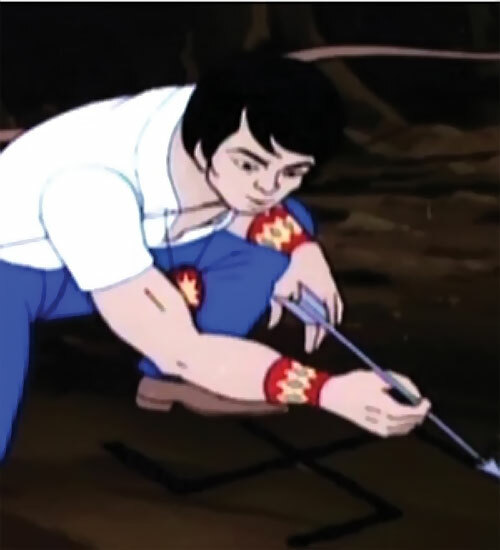 Hiawatha Smith is an original character who appeared in the 1981-1983 Spider-Man cartoon series. There’s little material about him, but a number of folks who grew up during the right general time frame seem to remember about him. Known Relatives: The Great Chief of the Indian Nations (Father). Hiawatha Smith keeping with his heritage has maintained his ancestor’s rituals and traditions to modern day. 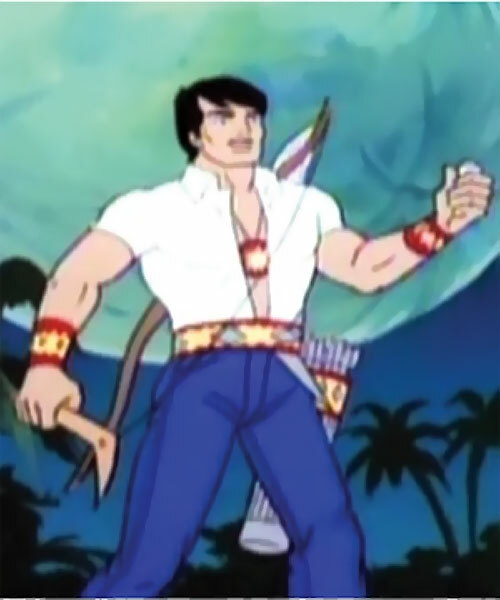 A competent fighter, Hiawatha is skilled with many weapons but he most often employs a boomerang in battle. A very perceptive individual, Hiawatha Smith is likely to find secret doors and spot traps before others. 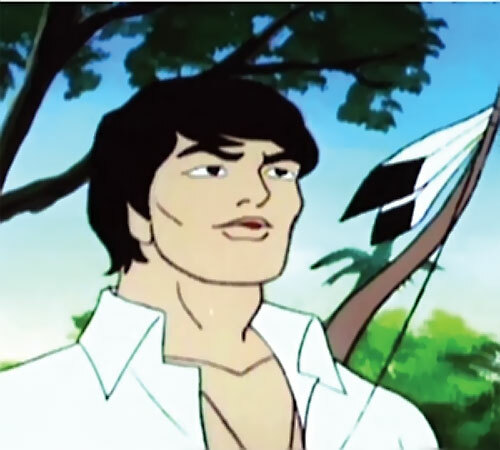 His most uncanny ability coming from his mystic ancestry, his ability to communicate with and command animals. 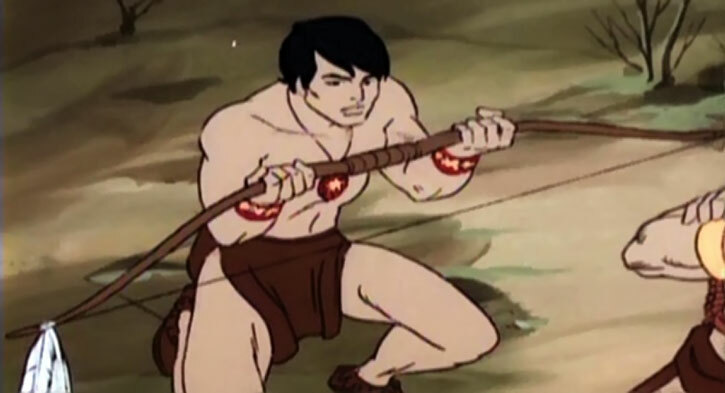 It is assumed in our game stats that Hiawatha has power over most any animal but he is only shown controlling a python and listening to earthworms. Hiawatha Smith, a college professor at ESU, is the son of the heroic chief of the Native American nations that fought against the Axis armies during World War II. His father bestowed on Hiawatha the knowledge of all Indian law since the beginning of time. He was presented with a bow by his father and the Scorpio engraving which will lead to a vast Nazi treasure of wealth and advanced technology sought by the Red Skull. Hiawatha Smith’s home is adorned with decorations from various cultures including Hindu and native African tribes. Smith knew that eventually the Nazi’s would come for his map. When they did he was ready. However, the Red skull arrived, gassed him then left him for dead hanging over a giant Python. 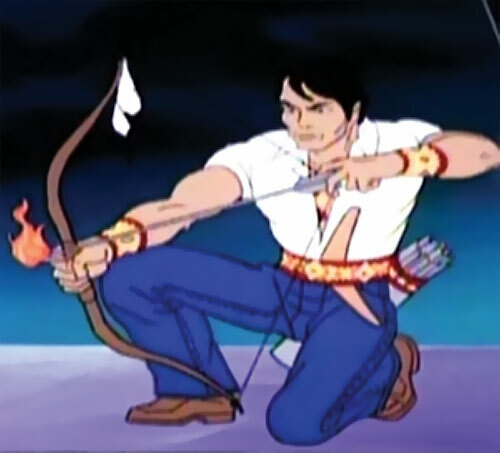 Hiawatha used his powers to convince the python to help him escape. It did. After returning home, Hiawatha and the Spider-friends fought due to a misunderstanding. Hiawatha Smith showed his skills as he defended against all three of them. The four heroes joined forces against the Red Skull to prevent WWIII. Together they travelled to South America, to the uncharted Marabunta jungle. The location of the Nazi treasure. The Red Skull put the heroes under surveillance once they arrived in the jungle; he on the other hand traveled underground in a tunneling machine. Overcoming the Red Skulls traps the heroes push forward and found the hidden tomb. Firestar marked the entrance for the others then entered alone and was quickly captured. Red Skull finds the the treasure; then taunts the trio with a note. The Skull captures the Spider-Friends and straps them to three of the rockets he aims at another country in hopes of starting World War III. Just before ignition, Smith frees Firestar, who saves her friends and aims the flying missiles back toward Skull Island, leaving the gang to wonder if the Red Skull survived. Peter, Bobby, and Angelica return home. Hiawatha Smith is a fit young man who is clean-shaven. He wears jeans with a white collared shirt. When adventuring, he has a quiver worn along the left thigh hanging from the belt – the realistic way to carry a quiver – and a bow slung over his shoulder. Producer and story editor Dennis Marks created the character and admits to basing him on Indiana Jones. 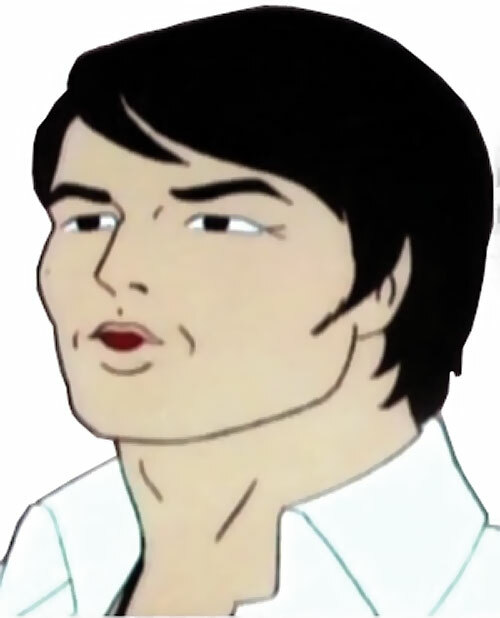 Hiawatha Smith is a serious minded person. 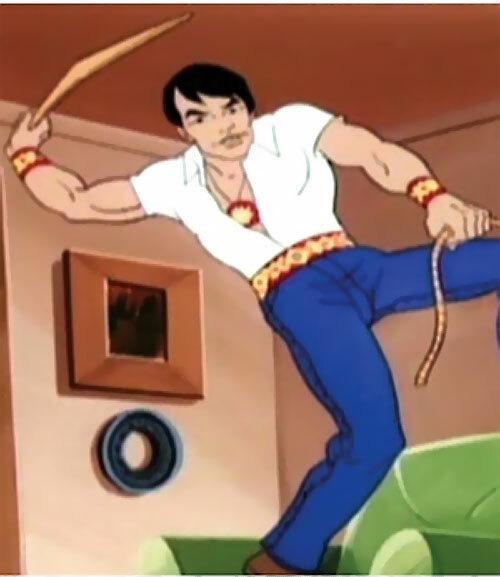 Hiawatha Smith could be dropped into the DCU as is. 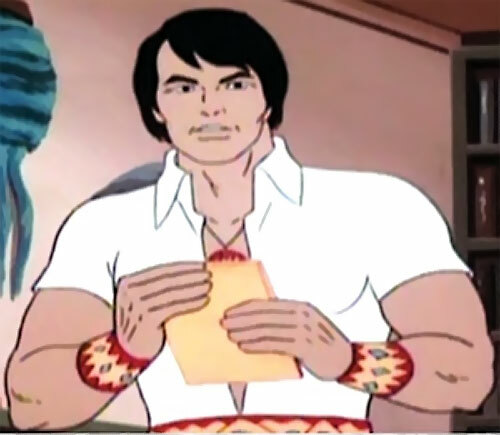 A clever writer could easily bring him in as an adventuring Professor in Native American anthropology. Fear Itself would have been a good story arc to bring him in, since it involves Sin’s Nazi army and Hiawatha was introduced as a Nazi hunter. Language (Unspecified American Indian language), Sharp Eye. Boomerang [BODY 05, Gliding: 03, EV: 03, Limitation: Gliding only to add to Range, the last AP is for the return trip. Cost: 11]. Tomahawk [Body 05, EV 04, Cost: 7]. Medium-powered bow [BODY 04, Projectile weapon: 03 (Bow Advantage – effective EV is 04, effective Range is 06), Ammo: 01, Rec. STR: 03, R#02, Limitation : Low Penetration]. QUIVER [BODY 02, Ammo: 12, Limitation: Ammunition load for bow]. Lasso [BODY 05, Stretching: 02, Limitation: Stretching does not allow fine manipulation (-2)]. Indian potion [Body 01, Aura of Fear: 05, Bonuses & Limitations: Aura of fear only works on fishes, R#0, cost: 10]. Poured it into his boomerang and thrown it sprays down the water and makes the piranhas dive for the bottom of the moat. Grappling Hook and Line [Body 04, Str 04, line is 05 APs long cost: 9]. 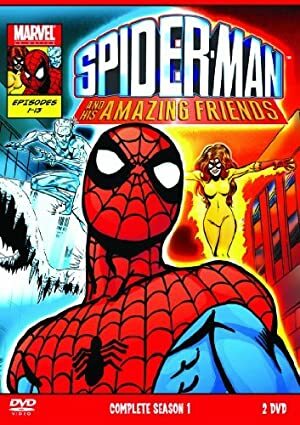 Source of Character: The 1981 animated series Spider-Man and his Amazing Friends, episode The Quest of the Red Skull, voiced by Michael Ansara. Helper(s): Wikipedia, Hypestyle, William Chamberlin. Writeup completed on the 10th of March, 2012.